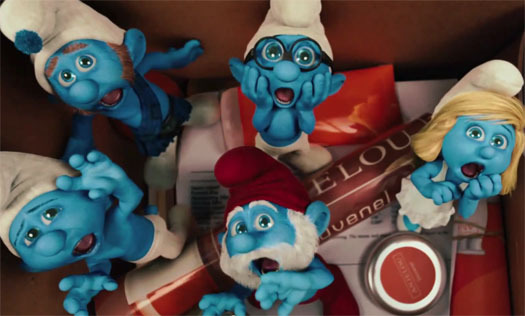 The Smurfs Official Movie Trailor. . Wallpaper and background images in the The Smurfs Movie club tagged: clumsy the smurfs gutsy grumpy papa brainy the smurfs movie smurfette.